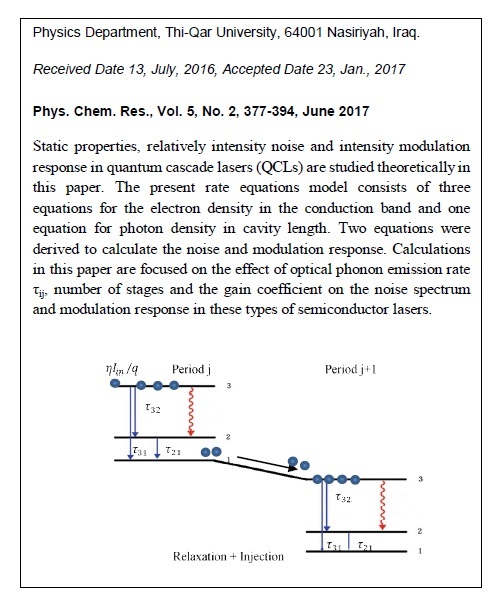 Static properties, relatively intensity noise and intensity modulation response in quantum cascade lasers (QCLs) studied theoretically in this paper. The present rate equations model consists of three equations for the electrons density in the conduction band and one equation for photons density in cavity length. Two equations were derived to calculate the noise and modulation response. Calculations in this paper focused on the effect of optical phonon emission rateτij, a number of stages and the gain coefficient on the noise spectrum and modulation response in this types of semiconductor lasers. 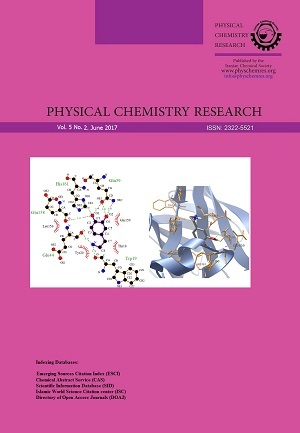 The results indicate the strong effect of optical phonon emission rate, the gain coefficient and a number of stages on the dynamics properties of QCLs. The static properties such as the population inversion, the threshold injection current and the steady state photons density deviate from the ideal values with increasing in τ21 .The effect of optical phonon emission rateτ21 has similar effect to the effect of photon lifetime on the noise spectrum in comparison with other times.